“Omnia” is a Latin word, standing for all and everything. 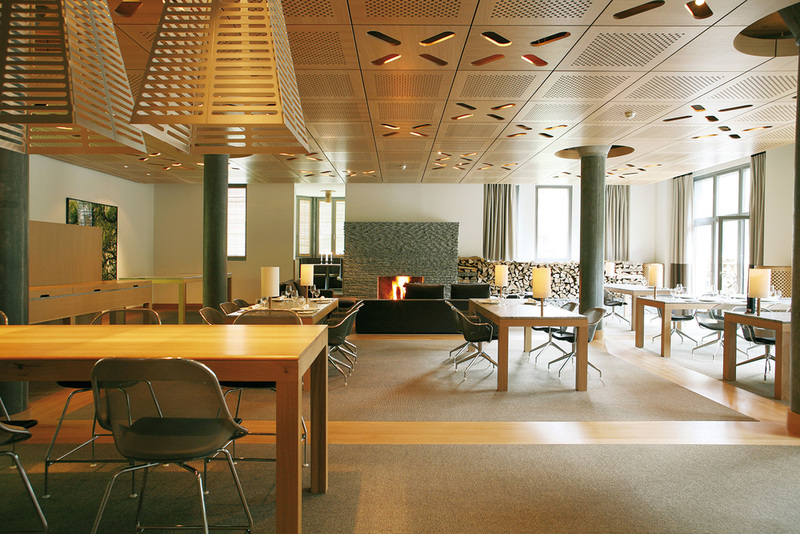 The hotel, opened in Zermatt in the summer of 2006, aims to make its guests feel as comfortable as if they were at home. The small but extremely classy establishment offers exclusive interior decor, a superb view of the Valais Alps and a comprehensive range of wellness facilities. The Omnia is the contemporary interpretation of the classic mountain lodge. Here in the Swiss Alps, New York architect Ali Tayar has in collaboration with Maryana Bilski found a harmonious way of transposing the lodge idea, originally North American, into a European setting. The dialogue of these two cultures also formed the starting point for the interior design. While the materials and craftsmanship point to the traditions of the Valais, the interior details and furnishings are inspired by the warm, made-by-hand aesthetics of American modernism. Ruckstuhl’s carpets complement the natural materials and colours and the timeless design perfectly. This is because they speak the same language, in design terms, and harmonise with the carefully chosen furniture. Area carpets in anthracite, of the virgin wool felt quality “Feltro basic”, were used for the bedrooms. This felt creates a pleasant atmosphere without giving an over-luxurious impression. The corridors are laid with the coconut velour “Porta”, likewise in anthracite. In the restaurant, the “Trap” carpet – consisting of virgin wool and hair yarn in a restrained structure – has been integrated with the parquet flooring. 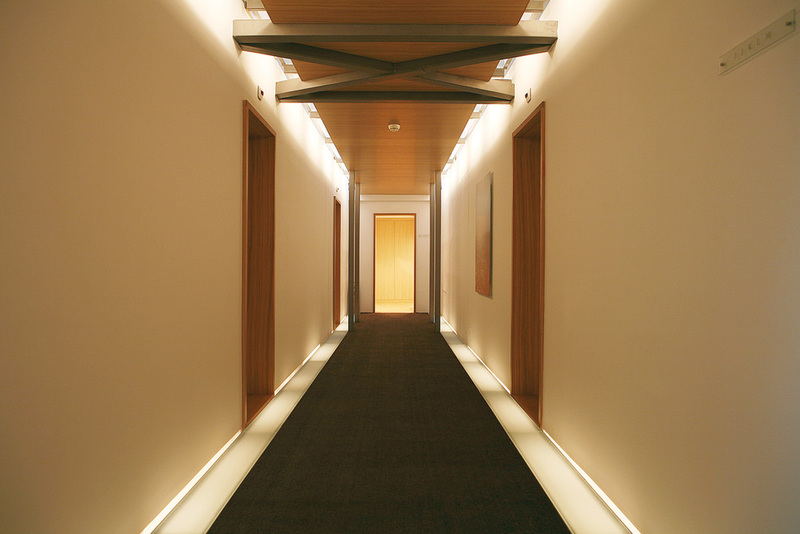 The corridors are laid with the robust and solid coconut velour “Porta”. The individually designed bedrooms have felt carpets of different sizes.